Abstract: As a research topic attracting more and more interests in both academia and industry, person Re-Identification (ReID) targets to identify the re-appearing persons from a large set of videos. It is potential to open great opportunities to address the challenging data storage problems, offering an unprecedented possibility for intelligent video processing and analysis, as well as exploring the promising applications on public security like cross camera pedestrian searching, tracking, and event detection. This talk also covers our latest work on person ReID, as well as our viewpoints about the unsolved challenging issues in person ReID. We believe this talk would be helpful for researchers working on person ReID and other related topics. 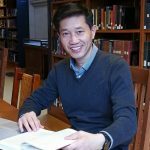 Bio: Qi Tian is currently a Full Professor in the Department of Computer Science, the University of Texas at San Antonio (UTSA). He was a tenured Associate Professor from 2008-2012 and a tenure-track Assistant Professor from 2002-2008. During 2008-2009, he took one-year Faculty Leave at Microsoft Research Asia (MSRA) as Lead Researcher in the Media Computing Group. 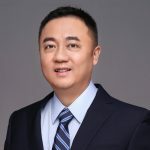 Dr. Tian received his Ph.D. in ECE from University of Illinois at Urbana-Champaign (UIUC) in 2002 and received his B.E. in Electronic Engineering from Tsinghua University in 1992 and M.S. in ECE from Drexel University in 1996, respectively. 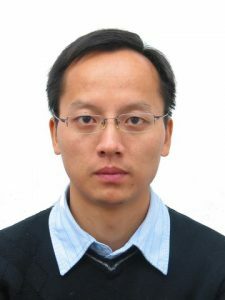 Dr. Tian’s research interests include multimedia information retrieval, computer vision, machine learning and pattern recognition and published over 410 refereed journal and conference papers (including 106 IEEE/ACM Transactions papers and 76 CCF Category A conference papers). His Google Citation is 10000+ with h-index 54. He was the co-author of a Best Paper in ACM ICMR 2015, a Best Paper in PCM 2013, a Best Paper in MMM 2013, a Best Paper in ACM ICIMCS 2012, a Top 10% Paper Award in MMSP 2011, a Best Student Paper in ICASSP 2006, and co-author of a Best Student Paper Candidate in ICME 2015, and a Best Paper Candidate in PCM 2007. Dr. Tian research projects are funded by ARO, NSF, DHS, Google, FXPAL, NEC, SALSI, CIAS, Akiira Media Systems, HP, Blippar and UTSA. He received 2017 UTSA President’s Distinguished Award for Research Achievement, 2016 UTSA Innovation Award, 2014 Research Achievement Awards from College of Science, UTSA, 2010 Google Faculty Award, and 2010 ACM Service Award. He is the associate editor of IEEE Transactions on Multimedia (TMM), IEEE Transactions on Circuits and Systems for Video Technology (TCSVT), ACM Transactions on Multimedia Computing, Communications, and Applications (TOMM), Multimedia System Journal (MMSJ), and in the Editorial Board of Journal of Multimedia (JMM) and Journal of Machine Vision and Applications (MVA). Dr. Tian served as Area Chairs for a number of conferences including CVPR, ICCV, ECCV, and ACM MM. Dr. Tian is a Fellow of IEEE.